A top utility company of China recently launched a million-kilowatt PV power station project in Jiayuguan, China. The 40-megawatt project is now being built with Clenergy’s outstanding PV-ezRack SolarTerrace I?B ground mounting system in conjunction with a well-known PV panel manufacturer in China that is providing framed poly-silicon solar panels for the project. 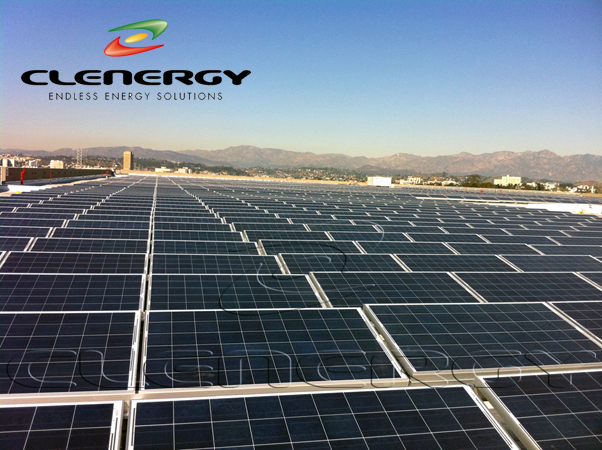 The PV-ezRack SolarTerrace I?B ground mounting system is Clenergy’s newest product. Its beam and support components are standardized and all of its fasteners are of the same specification, thereby reducing costs without compromising structural integrity. New patented W clamps lock the PV panels firmly in place. The system also includes innovative use of roller-formed C-steel for the rails. Clenergy’s service sets it apart from the pack. The technical team provides professional and efficient support. Each solution is tailor-made according to our client’s specific needs and every technical question from our clients is carefully answered. Moreover, Clenergy’s Product Management, Project Management and Installation Support teams work hard to make sure the new plant project in Jiayuguan gets a smooth installation and efficient after-sales service. The client spoke positively about Clenergy’s mounting solutions in discussing the deal.